The harvest season is the perfect time to release an issue about food. 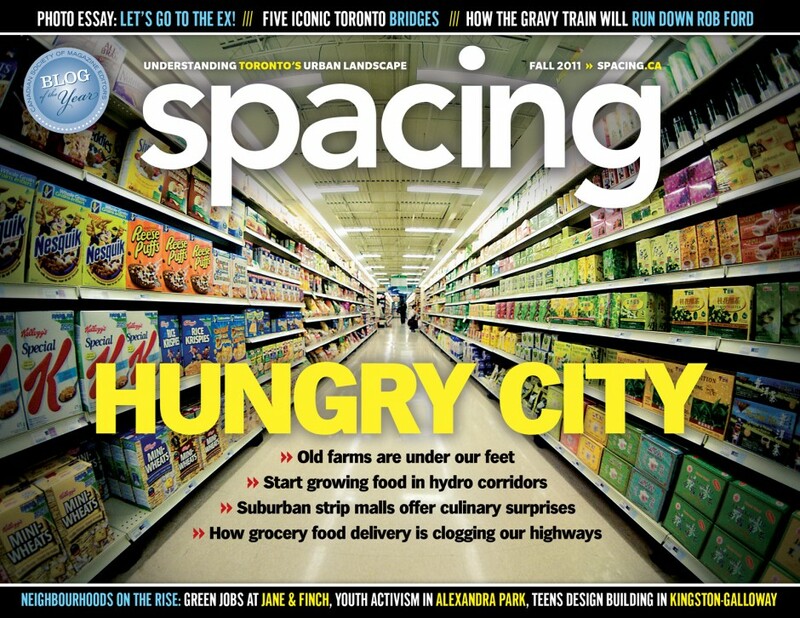 The 22nd edition of Spacing looks at the impact food has on how we live in the city and how it continues to shape of our public realm. 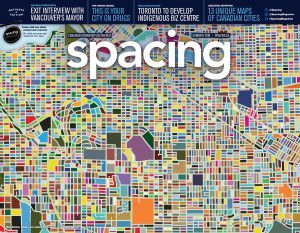 Spacing senior editor Shawn Micallef writes about his experiences at the Riverdale Farmers Market and wonders if such markets are just a feel-good thing; Thomas Wicks digs into the history of local farms and discovers that the land of almost every home in Toronto is where a farm once operated; and Drew Adams explores whether the vast and expansive hydro corridors could be home to urban agriculture farms. This issue also presents a special seven-page report on Toronto neighbourhoods at risk: our contributors uncover youth activism in Alexandra Park, green job training at Jane and Finch, and teenagers designing a building in the Kingston-Galloway community. And photoblogger extraordinaire Miles Storey takes readers on a trip through the tacky and beauty of the annual CNE.